Editors’ note: The US Food and Drug Administration is currently considering regulation of laboratory developed tests (LDTs), which include noninvasive prenatal tests. 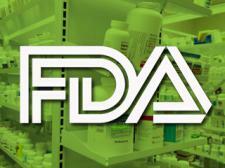 The comment here was submitted to the FDA by George Estreich, as part of a comment period that closed on February 2. The FDA’s materials on LDTs can be found here. I’m writing to urge the FDA to regulate the new, noninvasive prenatal tests, and I wish to focus particularly on health claims being made in the advertising for the tests. If prenatal testing is to be of greatest benefit both to individual women and to society at large, the information that accompanies that testing should be accurate, complete, useful, and most of all nondirective. The ads for NIPT do not meet these criteria. As a result, the advertising has a number of potential adverse consequences for consumers. Beth Daley’s recent investigative report in the Boston Globe offers a disturbing look at the consequences of misinformation: as Daley notes, when both health professionals and patients believe that the test is “99% accurate,” as it is often advertised to be, both false positives and false negatives have serious consequences for prospective parents’ state of mind, and for the course of an intended pregnancy. Believing the test to be accurate, women have aborted healthy fetuses in the case of a false positive, or have carried fetuses with severe conditions to term. These beliefs are mistaken, but they are completely understandable, given the expertly executed ads for the technology. Though the figure “99%” is ubiquitous in the ads, whether referring to sensitivity, specificity, or “accuracy,” the number of true interest to a consumer—the positive predictive value—is either in fine print, or difficult to find.